Best Foods Real Ketchup & Real Yellow Mustard have simple ingredients guests can trust. New best foods real ketchup & yellow mustard simple ingredients & no high fructose corn syrup. 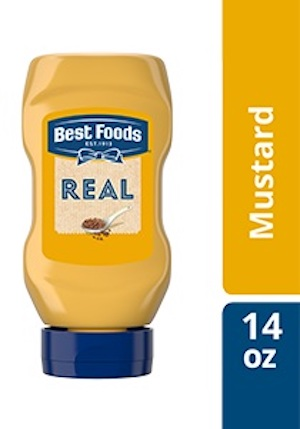 Best Foods Real Yellow Mustard is made with high quality mustard seeds. A delicious balance taste. No artificial colors, flavors or preservatives. Gluten-free. Kosher.